1950-1980’s were a golden era for sci-fi writers. With the ongoing space race and constant technological innovations in astronomy, people felt a great need to truly understand space and astronomy. 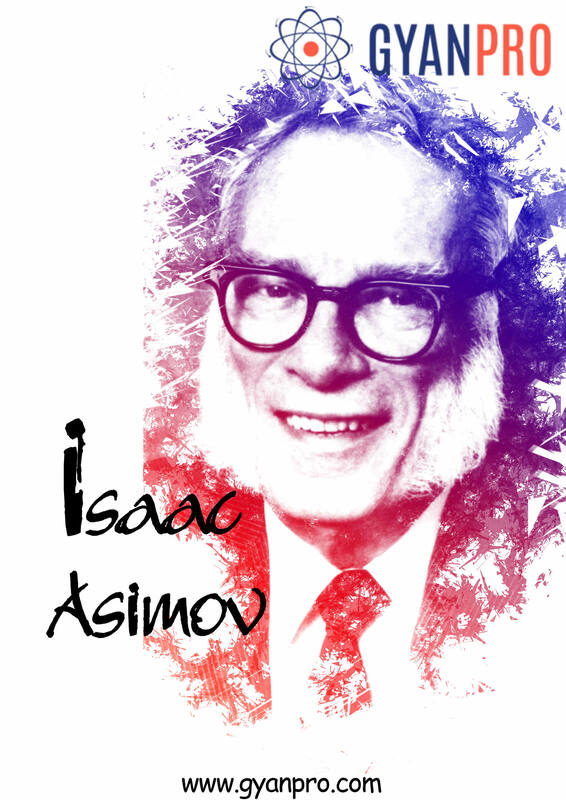 One of the pioneers of bridging this gap was Isaac Aminov, regarded by many to be the greatest science writers of all time. He completed his education in the United States in Columbia University. He initially decided to major in zoology but dissection of animals put him off it and he ended up majoring in and getting a doctorate in Biochemistry. He started writing sci-fi stories at the age of 9 getting first published in the magazine Amazing Stories at the age of 18. He wrote mainly for the magazine ‘Astounding’ from 1939-1950 with one of his short stories ‘Nightfall’ regarded by many as the best sci-fi story of all time. He also wrote two sci-fi series Foundation and Robot, and is credited with coining the term ‘robotics’. He had a few books converted into movies too including The Bicentennial Man starring Robin Williams. He also helped with the production of Star Trek series. He was also approached by The Beatles’ Paul Mc Cartney to make a movie but that did not work out due to script differences. After 1952, Aminov started concentrating on non-fiction science writing. The launch of Sputnik-1 helped propel interest in his writing and he contributed regularly (399 entries) to Venture Science Fiction Magazine to explain science facts. His book ‘Intelligent Man’s Guide to Scince’ got nominated for several national awards. He was a claustrophile (loved closed places) and had a childhood desire to own a newspaper stand in New York subway so that he could lock himself in and listen to the rumble of passing trains as he read. He however had a phobia of flying and as a result never travelled long distances. He also wrote extensively on biology, religion and human nature and was president of the American Humanist Association. He died at the age of 72 in 1992, after privately being treated for AIDS which had had contracted during blood transfusion. His ideas however live on through his work and are treated with reverence even today by a huge fandom.